A rarely seen oddity. 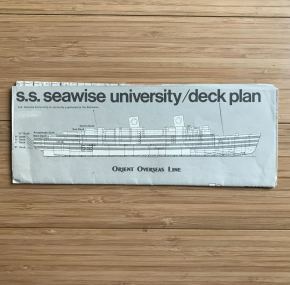 Queen Elizabeth was so close to being finished with her conversion to the Seawise University that bookings were being taken for cruises. 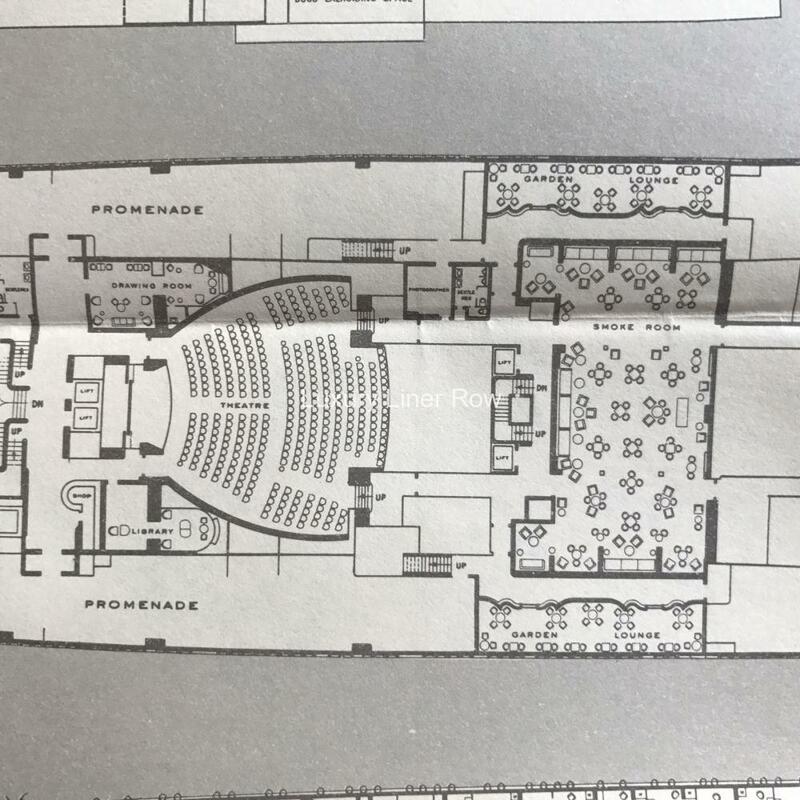 These are the deck plans produced for those never-made, upcoming voyages. 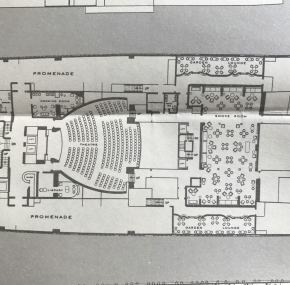 It’s fascinating to see what parts of the ship (public rooms, cabins, etc.) were going to be used. 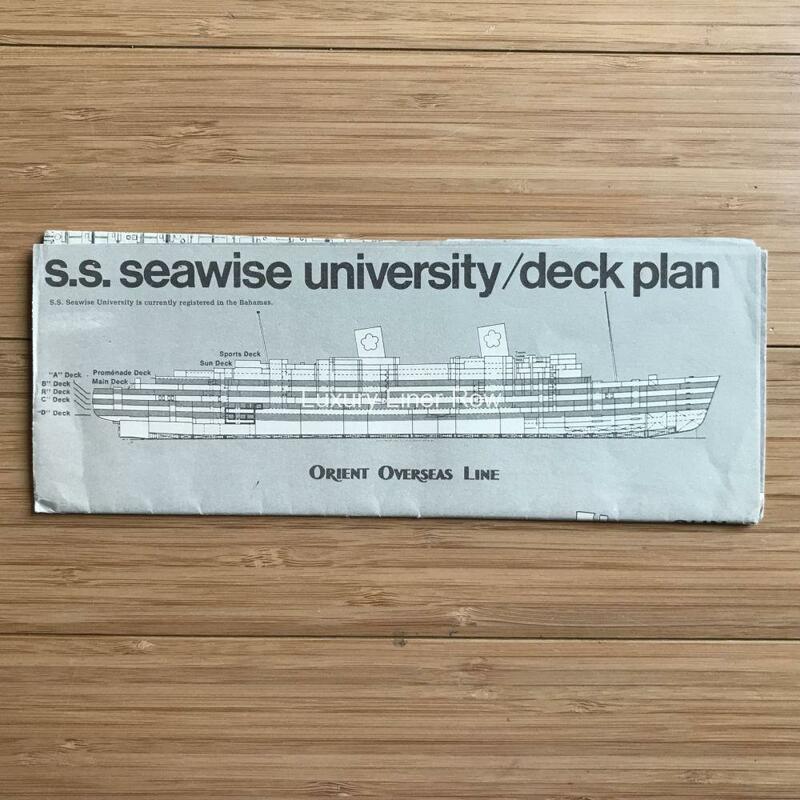 An interesting bit of history for a fantastic ship tragically lost. Measures about 22.5″ x 17″ and printed front and back.